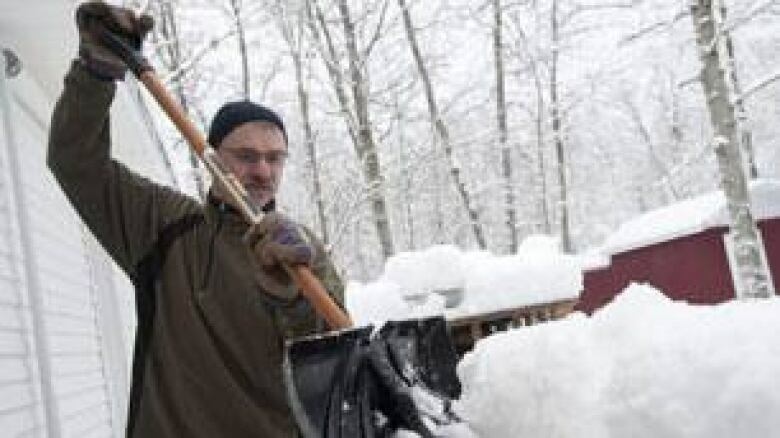 People in Atlantic Canada struggle with power outages and transportation delays Monday after the region is hit by its fourth big storm in as many weeks. People in Atlantic Canada can expect more snow, wind and storm surges into Monday evening as the region continues to cope with its fourth big storm in as many weeks. "As that low pressure system — that nor'easter that came through today — moves off toward Newfoundland, winds will begin to ease a little bit," says CBC meteorologist Jackie Johnstone. Most of New Brunswick remains under a snowfall warning, with some areas expecting 30 to 40 centimetres of snow. Meanwhile, Nova Scotia and P.E.I. should see flurries Monday night after a mostly rainy afternoon in both provinces. But storm surge warnings are still in effect for all three provinces. "With the northerly winds, the storm surge is still going to be a concern with the high tide into the evening and the overnight, especially for the Northumberland Strait for New Brunswick, Nova Scotia and the north coast of P.E.I. So that's definitely something to watch for," says Johnstone. The storm knocked out power for tens of thousands of people across the region. Numbers have been up and down all day. About 2,500 Nova Scotia Power customers were still without power at about 8:30 p.m. AT Monday, down from about 40,000 earlier in the day. That number had dropped further to about 200 as of 11 p.m. 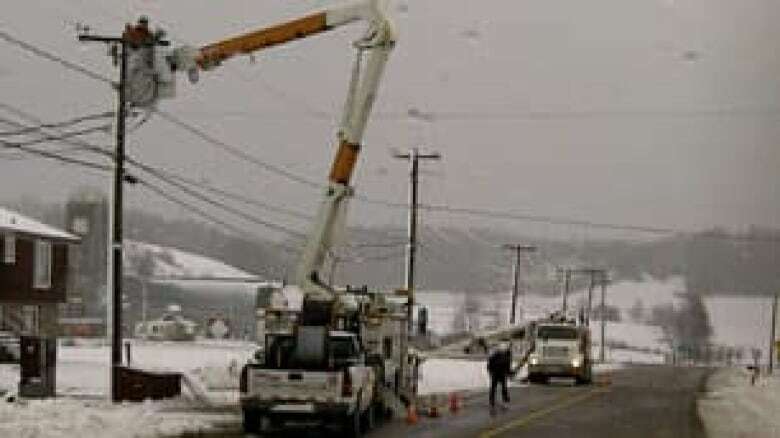 The outages were mainly in the Annapolis Valley and northern areas of the province. Company spokeswoman Stacey Pineau said outages started at about 2 a.m. because of wet, heavy snow causing trees to break and fall on power lines. In New Brunswick, utility websites showed that by 11:00 p.m. local time, about 18,000 homes and businesses were without power. The biggest problems were in Sussex, Moncton, Miramichi, Bouctouche and Fredericton. NB Power has contacted resources from outside the province to assist in restoring electricity. And in P.E.I., Maritime Electric reported outages affecting 1,500 customers, down from a high of 7,500 in the afternoon. The utility said the majority of power would be restored Monday night. Earlier in the day, motorists were being warned to stay home in parts of the Maritimes, many flights were cancelled and the ferry service between Saint John, N.B., and Digby, N.S. was not running. 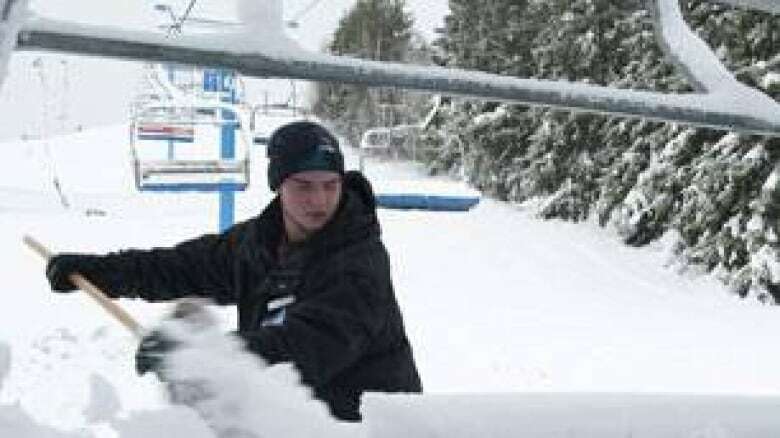 In Prince Edward Island, snowfall warnings were lifted before noon. Melting snow and heavy rain made roads a slushy mess. Police said slippery roads played a role in a fatal accident near Fredericton, P.E.I., in which a 25-year-old Island man was killed. An eastbound minivan lost control and was struck by westbound pickup on Route 2. The driver of the minivan was pronounced dead at the scene. The pickup driver sustained minor injuries. Early Monday morning, Garth Gallant, a snowplow dispatcher in Prince County, advised motorists to stay home. "Most of the roads are snow-covered and visibility is just fair," he said Monday morning. "Very slippery underneath. There's been two or three cars that we know of that [have] been in the ditch." 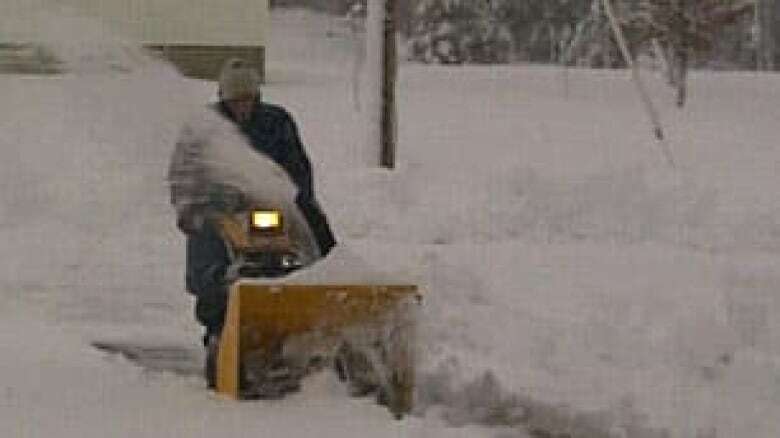 In New Brunswick, blizzard conditions made driving dangerous in northern regions. Snowfall warnings were issued for much of the province, with 40 centimetres expected in some areas. "Snow and local blowing snow associated with this system will taper off to flurries over western regions [Monday night] and over eastern regions on Tuesday," Environment Canada said in a statement. The Confederation Bridge connecting P.E.I. and New Brunswick was under a travel advisory warning much of the day. Storm surge warnings were in effect for Prince and Queens counties on the Island, and across the strait for the coasts of Nova Scotia's Cumberland and Colchester counties. In Nova Scotia, precipitation that began as snow at about 7:30 p.m. AT Sunday had by early morning turned to rain on much of the southern coast, including Halifax. The snow blocked storm drains and deep water pooled on roadways. Most of Cape Breton was under rainfall and snowfall warnings, with areas prone to strong local winds known as Les Suêtes seeing gusts of up to 140 kilometres an hour. Snowfall, rain and wind warnings also continue to be in effect in Newfoundland and Labrador. Snow changed to rain over central Newfoundland Monday evening, but snowfall warnings are still in effect over for much of the northern peninsula where total snowfall accumulations of 15 centimetres are expected before turning to rain. Some areas of the south coast have seen up to 50 millimetres of rain, while the Burin Peninsula has seen near 40 millimetres. Rainfall accumulations Monday night will be highest in the southern areas of the province, where another 10 to 20 millimetres are expected. East-southeast winds will gust up to 110 km/h in some areas of the province, while easterly winds gusting 100 km/h will hit much of the west coast. Slightly elevated water levels are also expected along the south and west coasts, spreading northward to the northeast coast by Tuesday morning. The disruptive weather comes as the Atlantic region still reels from storms that washed out roads, closed bridges, flooded homes, and destroyed some coastal beaches and other tourist attractions. New Brunswick alone — which suffered northern storm surges Dec. 3 and 4, a flood that hit southern and western communities Dec. 13 and 14, and more storm surges along its eastern coast Dec. 21 and 22 — has estimated the possible recovery costs at $50 million. An official with Nova Scotia's Emergency Management Office said the storm surge this time around wasn't expected to be as bad as last week's. "Fortunately, we're seeing that the spring tide is ebbing a bit, so Environment Canada tells us that the storm surge shouldn't be as significant as what we've seen over the last few storms," spokeswoman Michelle Perry said. "But we're still keeping a close eye on places like the Northumberland shore and many of the other areas that have had some troubles." New Brunswick EMO said the storm shouldn't affect recovery efforts, but people should be ready to be self-sufficient for up to 72 hours. Perry said drivers should make sure they have emergency supplies in their vehicles and call 511 to get the latest on road conditions. 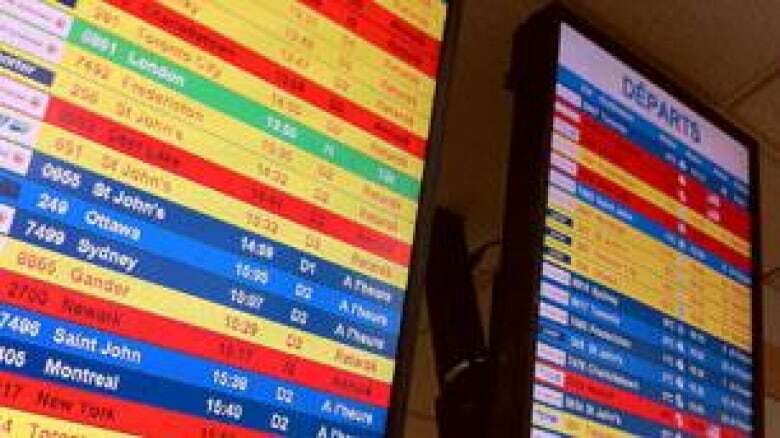 People who were flying were advised to call ahead or check online to get information on flight schedules, not only because of local conditions, but because the storm has caused major closures in the U.S. northeast, which was under a state of emergency from North Carolina to Maine.